Shake off the ruff Monday blues and join us at the iconic Comedy Store in London Piccadilly. This is our first ever comedy night and we so thrilled to welcome some very special acts to the stage. James Acaster (Netflix, every comedy show on TV), Ellie Taylor (The Mash Report, Would I Lie to You? ), Desiree Burch (Live at the Apollo), a ghostly Sofie Hagen (Live from the BBC), Colin Hoult as Anna Mann (Murder in Successville), Pierre Novellie (The Mash Report, Stand up Central), Darren Harriott (Live at the Apollo, Mock The Week) and Great British Mysteries? (Named Time Out's top comedy tips of the 2017 Edinburgh Fringe). SSF is thrilled to be collaborating with co-producers DEC MUNRO from The Billy Murray Comedy Club and ROB CROMWELL writer for the comedy stars in stand-up and TV. 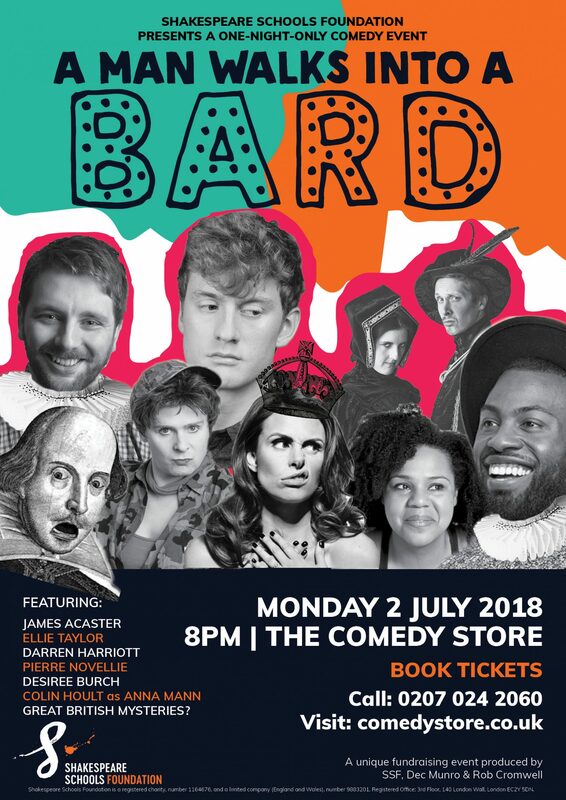 Go bard or go home - we'll see you there.